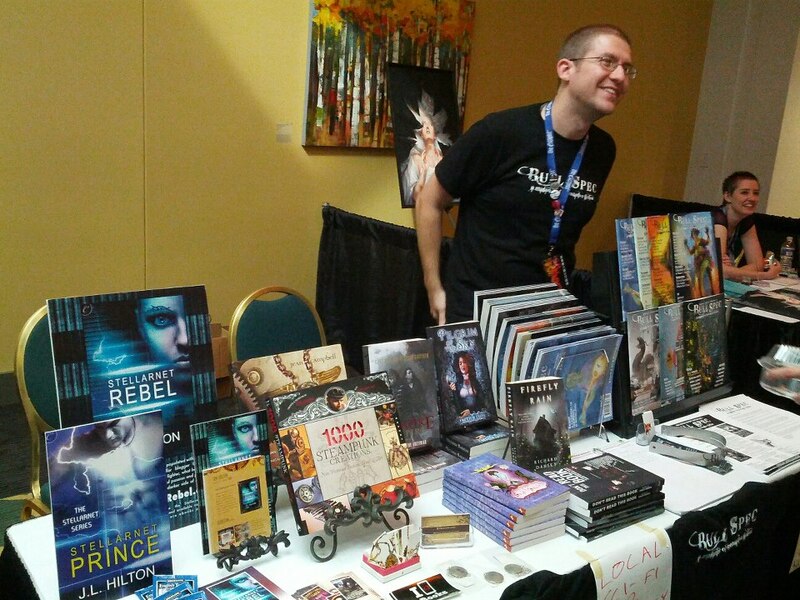 I shared a table with BULL SPEC at Escapist Expo 2012. The magazine is an active supporter of regional authors and artists. It’s been an enthusiastic friend of mine ever since I met the founder and publisher Sam Montgomery-Blinn at NASFiC in 2010. I spent some time with Richard Dansky (author, RPG developer and video game writer), Natania Barron (author, fiction editor for Bull Spec and blogger for Wired magazine), Bill Bridges (Senior Content Designer at CCP Games / White Wolf), various Charlotte Geeks, the crew of ConTemporal, and Cynthia Sheppard (fantasy artist). I met game developers, authors, artists, college students, aspiring writers, bored parents, photographers, Minecraft characters, Escapist magazine magazine staff, and D20 girls. People came from all over the country, some even driving eight hours or more for a chance to meet Yahtzee Croshaw and play in the Gears of War 3 tournament. 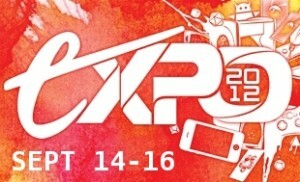 I attended the expo with Bull Spec publisher, Sam Montgomery-Blinn. 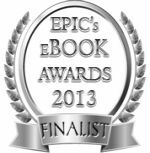 Escapist Expo was the first event where people asked if my books were available as ebooks and audio books, instead of asking why I wasn’t selling print copies. To be honest, it’s the first event I’ve done all year where people asked questions about the novels at all. 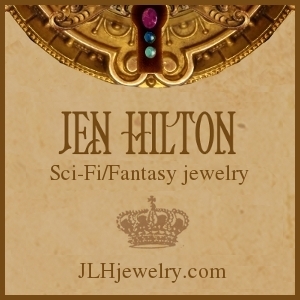 At other conventions, the art books featuring my steampunk jewelry designs garnered a lot more attention. 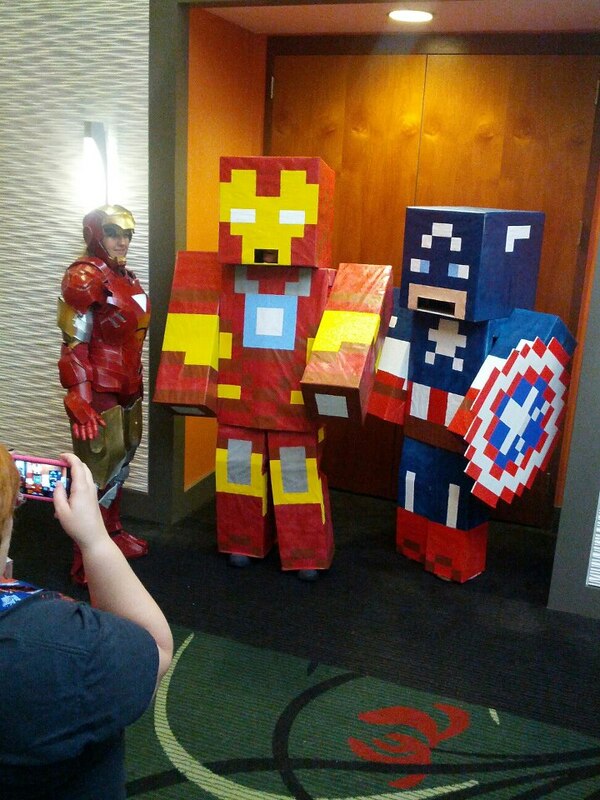 The expo was not just sci-fi or steampunk fans, but fellow gamers and technophiles. This was my audience. One woman even squeed and asked for my autograph. 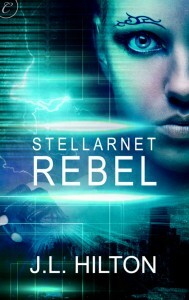 She already owned Stellarnet Rebel, and didn’t realize I was a local author. One attendee told me that science fiction relied too much on violence and gadgetry without bothering to explore “what it means to be human.” I suggested he check out my Stellarnet books, where “what it means to be human” is a central theme. 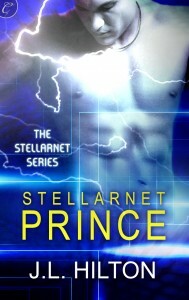 A few men noted the bare-chested Belloc on the cover of Stellarnet Prince and said, “I don’t read chick books.” One guy complained, “Why is it every time a woman writes a science fiction novel with a female main character, it has to have romance?” I asked why is it that every man who writes fiction with a male main character, the hero ends up getting laid? 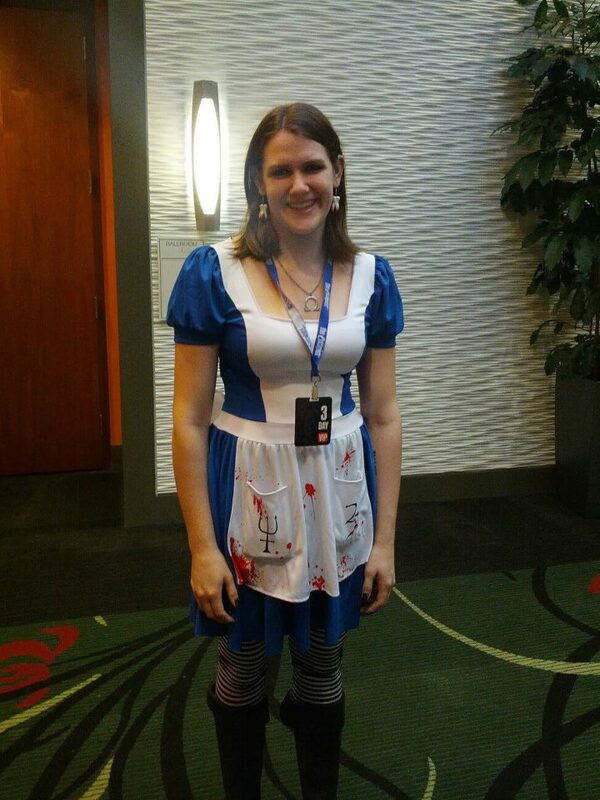 An awesome Alice costume from the Madness Returns video game. With teeth for earrings. Love it! “That sounds great!” He took a promotional postcard. Maybe I should start using that as my pitch? This entry was posted in Conventions & events, News, Science Fiction, Stellarnet Prince, Stellarnet Rebel, Stellarnet Series, Technology, Video games. Bookmark the permalink. I had a great time sharing the booth with you Jen! Thanks for posting all the thoughts and pictures. I’m just glad a certain additional blackmail video has not yet surfaced. That is very, very much for the best.